Today was the first of many Sack Lunch Fridays. 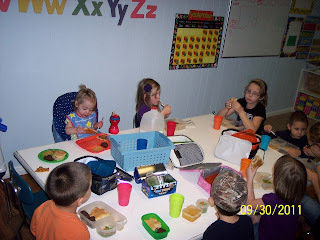 There are many things that kindergartners need to know and one of the most overlooked is lunch room know-how. Kids need to be able to walk through a lunch line and say "yes" or "no" to the choices offered. They must be able to carry the plates to the table and when finished, scrape them off and get them to the dishwashing area. Most of these new routines are overwhelming for new students, so I try to give the kids like experiences so they have an idea what to expect. I have a wealth of lunchboxes. One could get the idea that I'm addicted, but in reality, there are different boxes for different needs, so we have about 10 lunchboxes in our house. 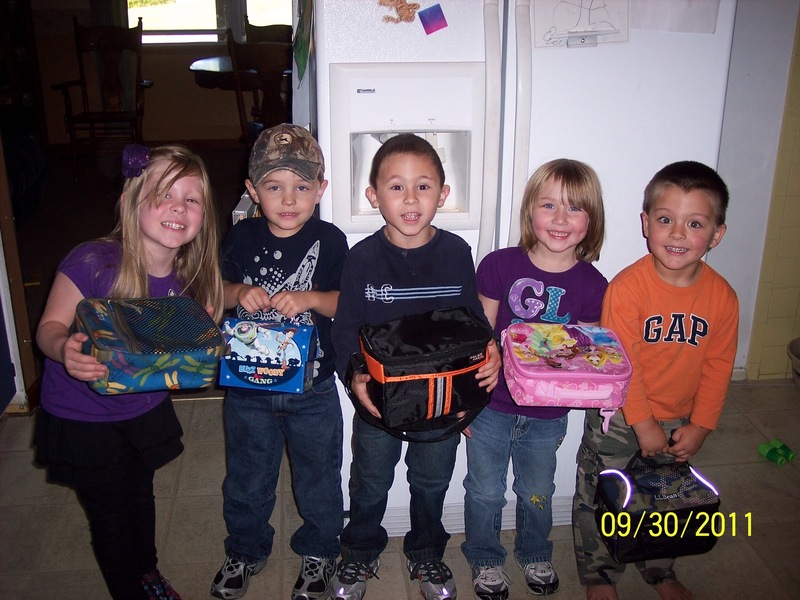 Most kids however, have a lunchbox type tote or an actual lunchbox already, so the kids were free to bring their own, which most did. Here are the kids with the lunchboxes. Don't they look excited! And, here they are eating! Almost everyone ate the majority of their food. 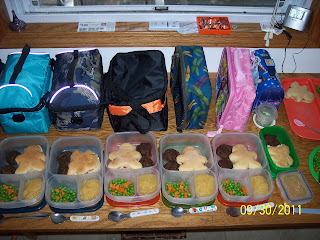 If only I had realized that if I put peas in a lunchbox, kids would eat them, I would've started doing this ages ago. Who knew?